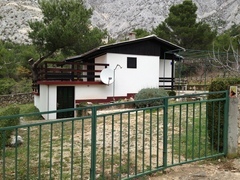 Cottage villa Josipovic is located in nice surrounding, at the foot of Biokovo mountain, in the woods, less than one kilometer from peabble beaches of Adriatic Sea. 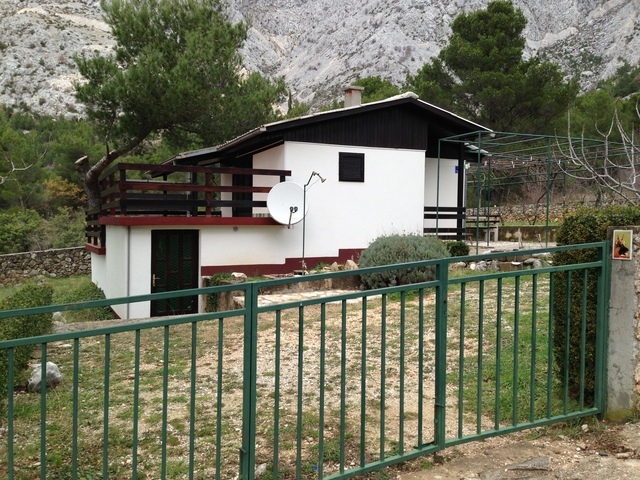 Property has huge surrounding space 700m2, barbecue, satTV, fast internet access. There are two sleeping bedrooms, kitchen, dinnig/living room and bathroom in house. Kitchen is fully equiped with all utensilities. There is satelitte TV and free open WiFi. House is equiped with airco. All above is included in price. What to see & do : House Josipovic is located in nice surrounding, at the foot of Biokovo mountain, in the pine woods, less than one kilometer from peabble beaches of Adriatic Sea.